For most people, the first bank account they will have will likely be a savings account. This traditional account pays you interest in exchange for you keeping your money with the institution. Different financial institutions have different rules and interest rates, which can make the world of savings accounts tricky to navigate. However, once you understand the basic concepts of how savings and interest work, you will have all the tools you need to make an informed decision. Some accounts require you to keep a minimum daily or monthly balance. Others may require a regular minimum deposit to maintain the account. For most banks, this is to keep you loyal to banking with them and lessens the chances that customers will shuffle their funds between institutions. Before opening a savings account that requires minimum deposits and balances, find out what sort of fees you’ll encounter should you fail to meet the requirements. If minimum balances are likely to be a burden for you, talk to a banking representative to find an account that has no such obligations. If figuring out how much interest you’ll earn has you scratching your head, you are not alone. Savings rates are expressed in annual rates, not daily or monthly. So even on a daily savings account, you must first work out the annual interest, and then calculate the daily amount. $1000 x 0.012 = $12. $0.03 is your daily interest earning. If interest is paid out monthly, then at the end of a 30-day month, the interest earned will be $0.03 x 30 for a total of $0.90 in interest. Using the above interest rate, it appears that if you don’t add any other money to your savings account, after one year you will earn $12 in interest. However, with compounded interest, the annual interest you earn may be a little higher than that. Compounding is putting two things together to be one. Think about compound words, such as cart and wheel compounded to become cartwheel. With compound interest, the interest becomes part of the principal. In this example, after the first month, the principal is no longer $1000 dollars, but instead, $1000.90. So for the following month, the interest is calculated on this new balance. After one year, even with no other deposits to the account, the actual amount of interest you’ve earned is $12.07, thanks to monthly compounding. While interest can be compounded annually on some banking products, for savings accounts, it is usually compounded and paid monthly. 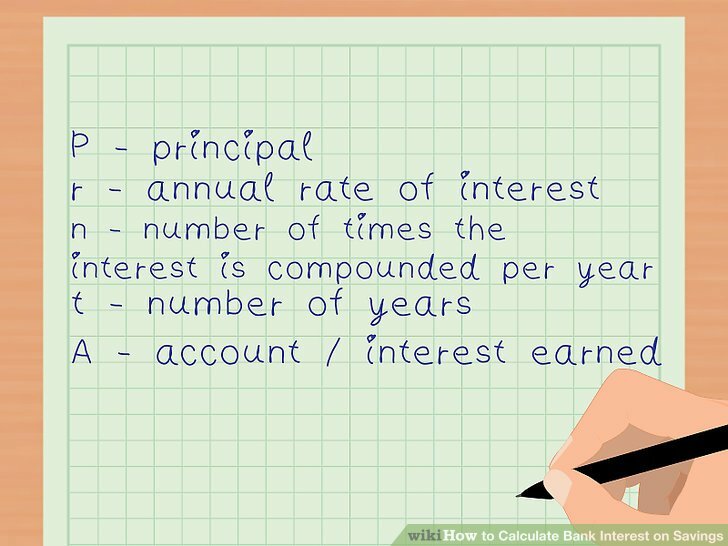 Now that you know how interest is calculated, you also understand APR and APY. APR stands for annual percentage rate. In this case, the annual percentage rate is 1.2%. APY is referring to the full amount you will earn at the end of the year, when compounding is included, expressed in a percentage. It’s called the annual percentage yield. So, for this example, the annual percentage yield is 1.207%. Understanding the rules of savings accounts makes it easier to choose the right type of account to help your savings grow. Of course, adding a little each week or month is the best way to ensure you have money set aside for future plans, while also collecting valuable interest. NextCommodities Economics: What Is Peak Oil?